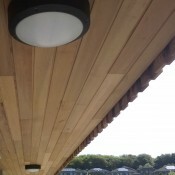 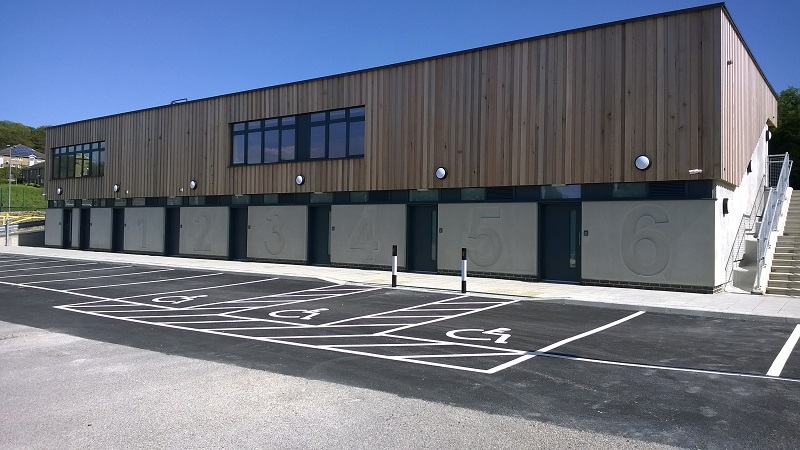 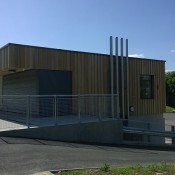 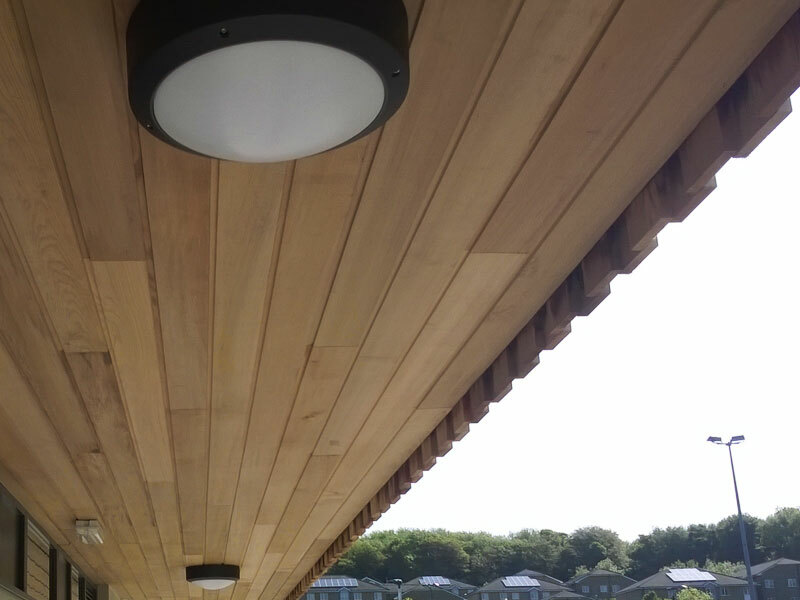 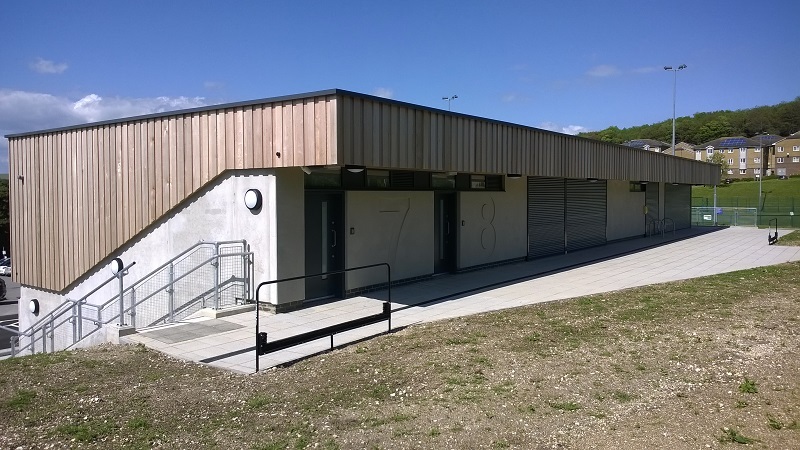 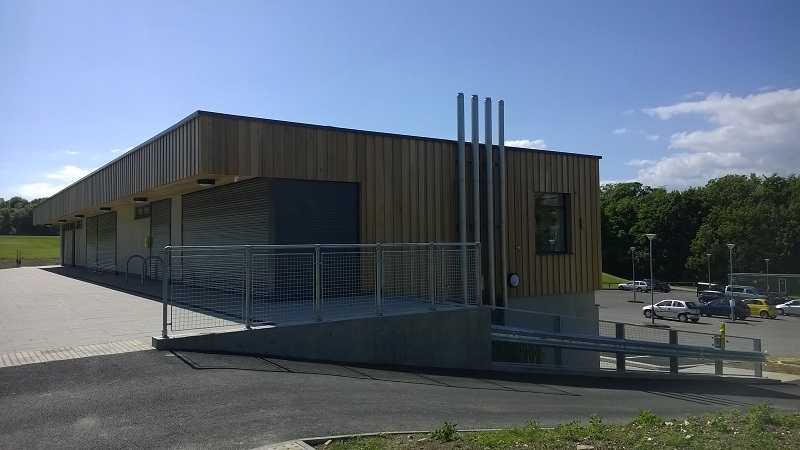 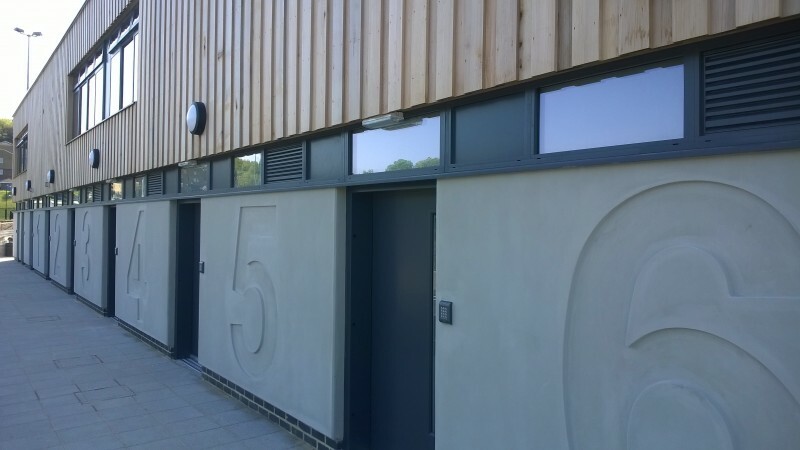 Design and Build sports pavilion, which from the upper pitch level appears as a single storey structure and from the parking level the two storey building sits into the existing grass bank. 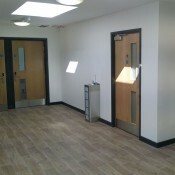 The building with a gross internal floor area of approximately 570 square metres comprises of 2 no. 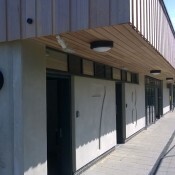 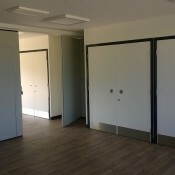 accessible changing rooms, 6 no. 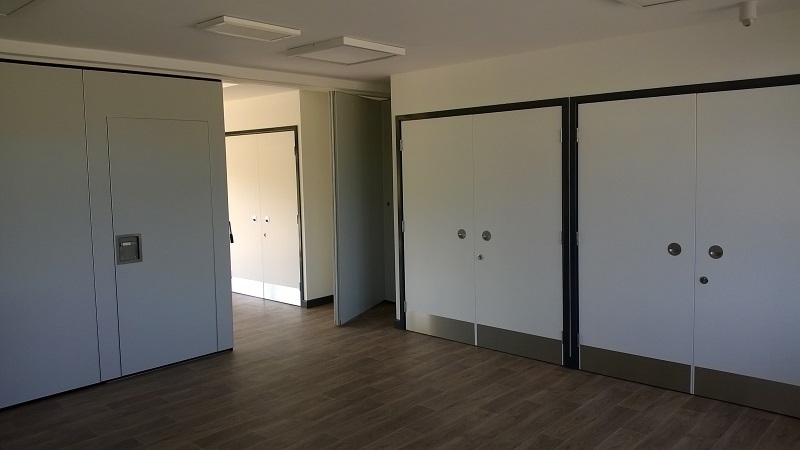 standard changing rooms, 4 no. 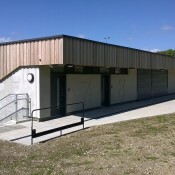 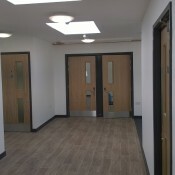 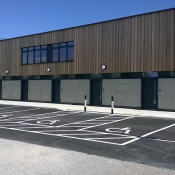 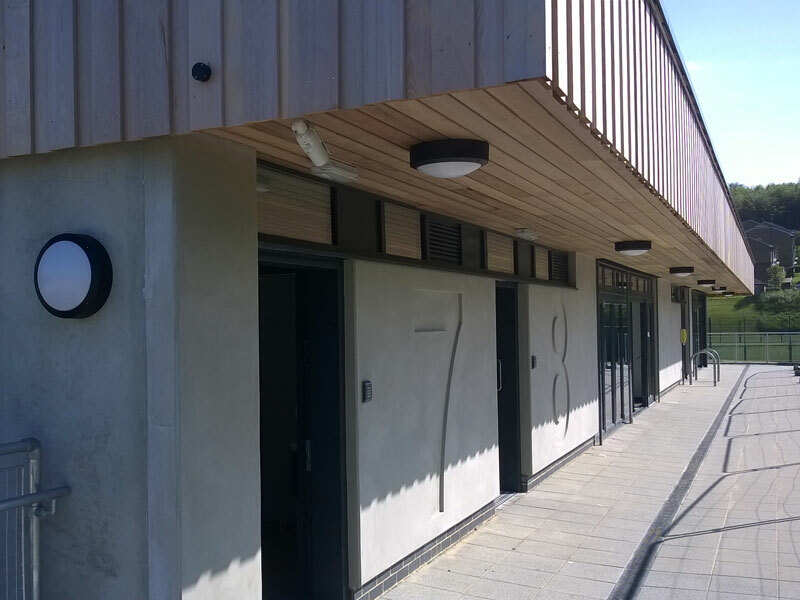 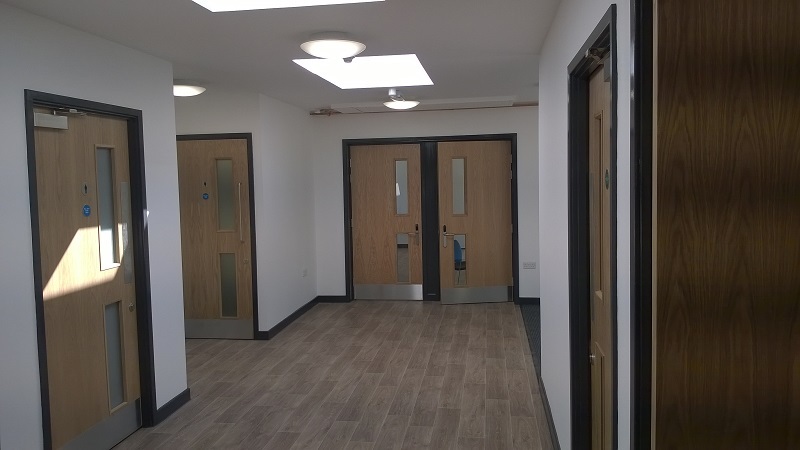 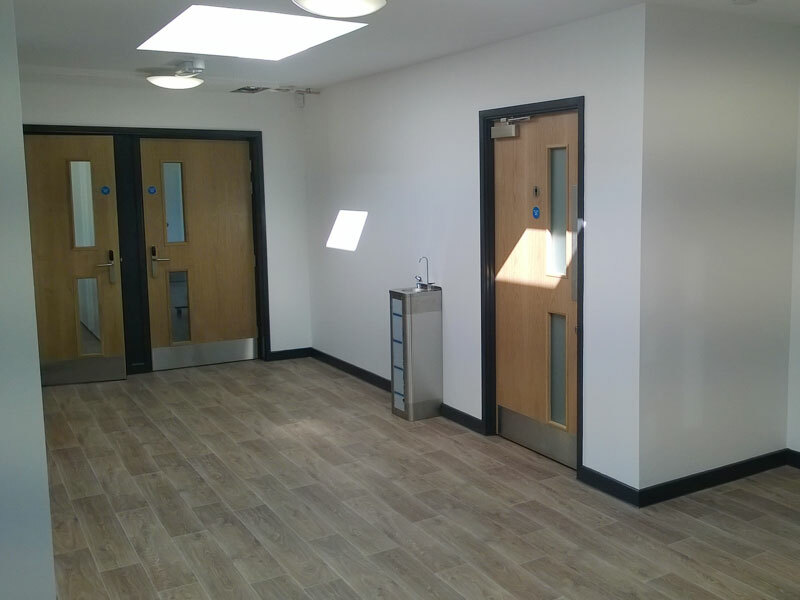 sports seminar rooms, first aid room, toilet facilities, a store, plant room and an external terrace area. 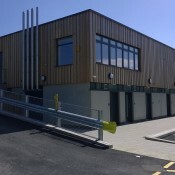 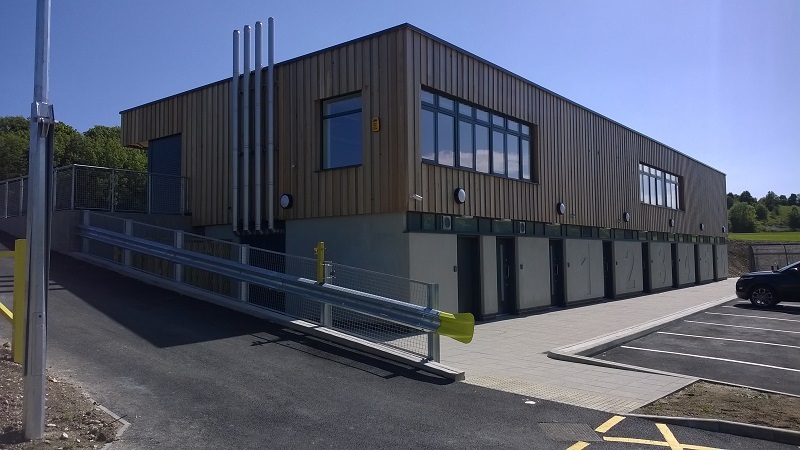 The building was designed with low carbon technologies including Waste Water Heating Recovery and achieved a BREEAM Very Good rating.